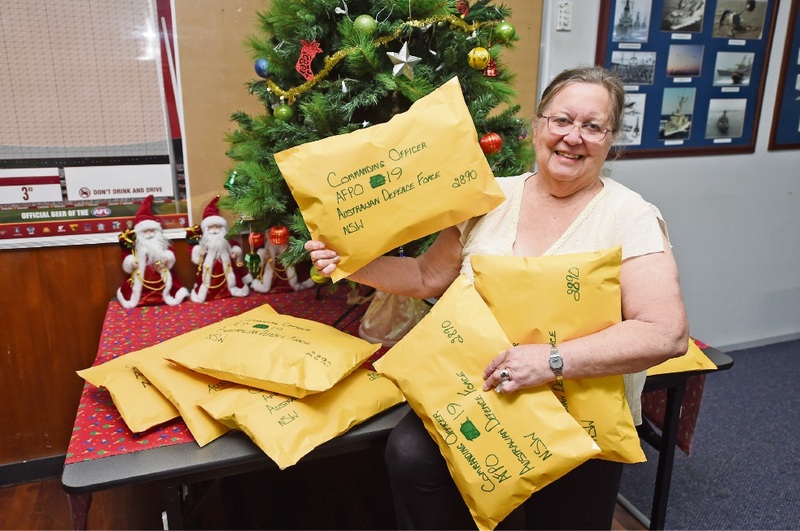 AUSTRALIAN troops stationed to the Middle East are set to get eight packages stuffed full of beanies, scarves and cards for Christmas thanks to the efforts of a group of dedicated knitters and the Rockingham RSL. The items were knitted and crocheted by three ladies from the Southern Cross Village in Success and were packaged up by Rockingham RSL secretary Jennifer Sciortino this week. Ms Sciortino said the RSL had been receiving items from Marion Draper, Rhonda Gale and Margaret Turnbull for the past three years. “We sell or gift the items to charitable organisations,” she said. “If we do sell them, we purchase wool so that the ladies can continue with the projects. Ms Sciortino said the ladies had also made felt poppies for Remembrance Day services, including purple poppies for all the animals killed in wars and yellow ones, signifying hope. She said the beanies and scarves would be popular for personnel working in desert areas, with temperatures plummeting during the night.